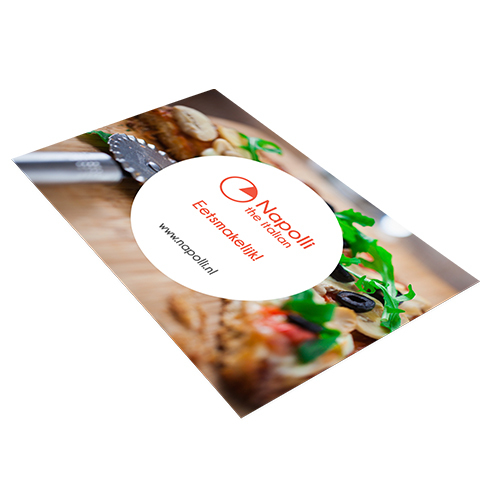 Designed placemats are the perfect tool to showcase your brand or menu and optimize the customer experience. The placemats are printed on A3. You can choose between the two most popular material types. Customize your placemat to the desired situation! 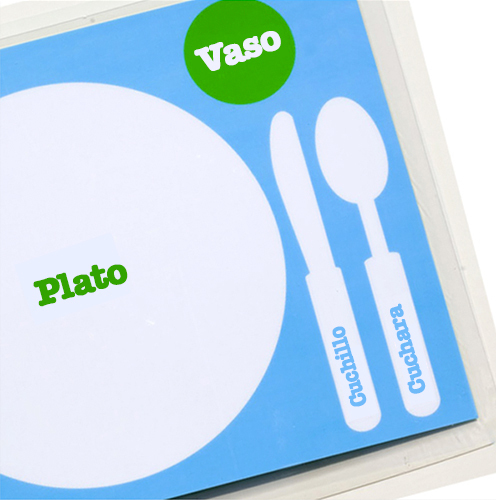 These placemats are printed on white 90gsm paper, making your placemats writable (perfect for kids! ), as well as very affordable! The placemats are made of 230mu synaps, a type of PVC. The benefit of the material is that it is easy to clean and it is wipeable with a wet cloth. The lifespan of the placemats is significantly larger than the paper variants. 2 Do you want one side or both sides printed? Everything is already in place to print your beautifull design! 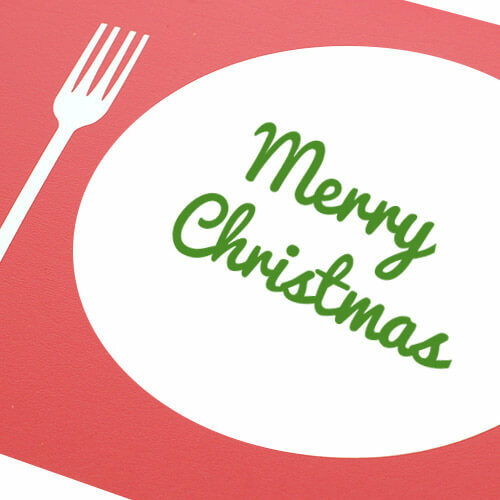 A placemat is an unfolded sheet of paper, usually in a larger size, which is used for putting under your plate during a meal. Because of its A3 format they stand out and are also functional. For the delivery of your placemats we use multiple carriers. Because of the highest reliability, in most cases we use UPS or DPD. The placemats that is chosen in most cases can be selected via our website. Which size do the placemats have? The placemats are made in A3 format. 225 gsm plastic: A plastic foil type of paper also called Polyart. These placemats are easily washable and hard to tear. Please note - these aren't dishwasher safe! 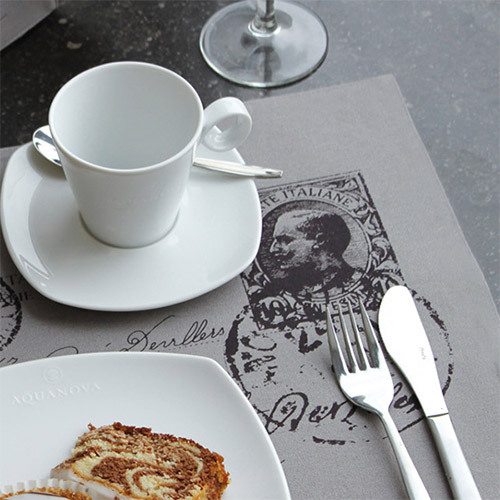 Standard Placemat Writable material: These placemats are printed on white 90gsm paper, making your placemats writable. The linen board 246 gsm has a white, matt surface with a linen texture. Because of its aging resistance material, it is perfectly suited for certificates. Polyart is stronger than conventional paper. It's the perfect combination of print and synthetic material, and is tear-resistant. 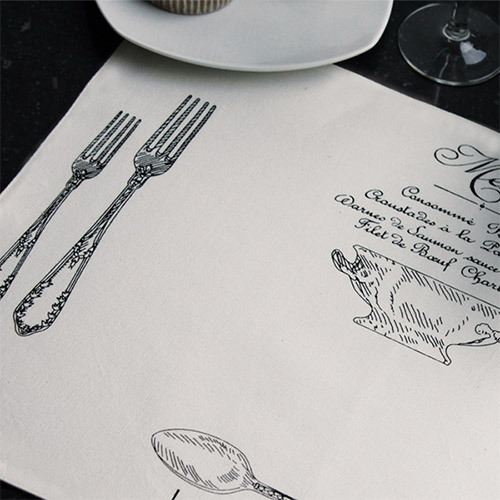 Polyart paper can easily be wiped clean without difficulty and ideally suited for placemats.